SAN FRANCISCO, CA — Chandran Gallery is pleased to present The Beauty of Decay by London-based artist Rebecca Louise Law. While the artist made headline news last year for her ambitious installation in Time Square’s Viacom building, The Beauty of Decay is her debut solo gallery exhibition in the United States. 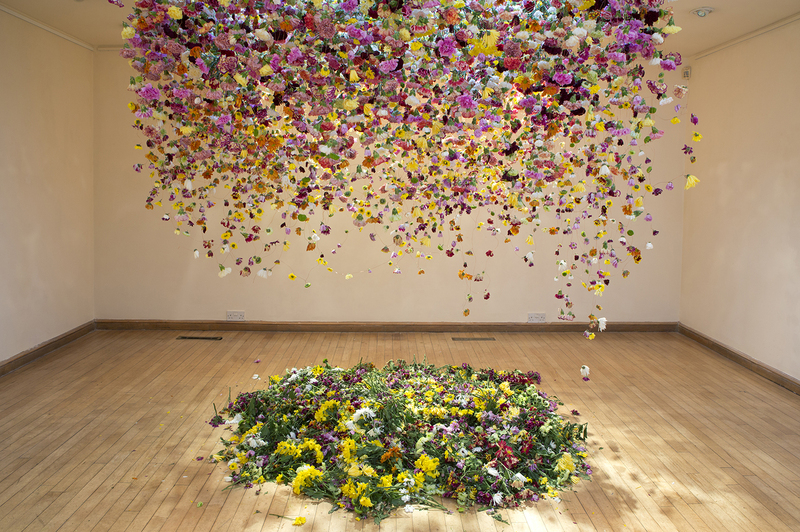 The show centers on a site-specific installation of 8,000 flowers which will gradually change and preserve throughout the duration of the exhibition. The exhibition will be on view July 08 - August 05 with an opening reception on Friday, July 08 from 6 - 8pm where the artist will be in attendance. Rebecca Louise Law has gained international attention for her colossal installations created with natural materials, namely flora. The power of her installations lie within their continual transmutation as the live flowers exquisitely move through the natural stages of decay - wilting, fading and drying. By taking viewers on this journey of deterioration, Law extends the perceived limitation of the beauty of flowers, and imbues them with artistic value elevating them from merely decorative items. Although Law has exhibited worldwide and has been commissioned by top luxury brands including Hermés, Mulberry and J&M Davidson, The Beauty of Decay is the first opportunity for visitors in the US to experience her work in a gallery setting. The artist will create an installation of 8,000 flowers individually entwined with copper wire that will descend from its 20’ ft. ceilings. 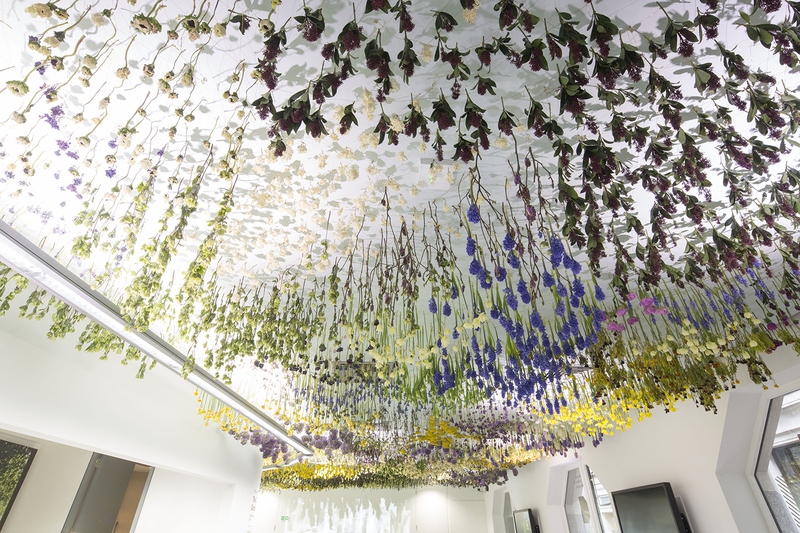 The cascade of hovering flowers create an enveloping experience that will prompt viewers to examine how they perceive the value of the material as it transitions from lush to decay. At the conclusion of the exhibition, Chandran Gallery will return the deteriorated flowers to Law’s studio in London where she will re-purpose them in her art, again extending the flowers’ vitality. The exhibition will also debut a series of limited edition prints created in collaboration with British Photographer Rachel Warne, based upon artworks set within the historic grounds of the Luton Hoo Estate, UK. Copyright © 2016 FRAMEWORK, All rights reserved.